Image: UK Press via Getty Images. She may not be active on social media anymore since officially becoming a member of the royal family in May, but it would seem that Meghan (née Markle), Duchess of Sussex, still recognizes Instagram fans even when they’re hanging out in a crowd waiting to catch a glimpse of her. Take, for example, Meghan’s adorable recent Christmas Day reunion (of sorts) with one Instagram fan, who later described their encounter in her own heartwarming Instagram post. According to People, on Christmas Day, as the duchess walked into church with husband Prince Harry and the rest of the royal family, one of the well-wishers in the crowd held up a sign bearing her Instagram handle, which the duchess reportedly recognized from their messages to each other. This isn’t the first time Meghan has reconnected with a former Instagram friend since becoming a royal. In October, while touring New Zealand with Prince Harry, Meghan got the chance to chat with Hannah Sergel, who said the duchess used to follow her on the platform and that they would exchange messages about life. Before deleting her social media profiles shortly before her wedding, Meghan often used her social media as a means to talk about social justice issues, which is work she’s continued as a royal, albeit in a slightly different way. Meghan has worked closely with Grenfell Tower fire survivors to prepare meals for their community at the Hubb Community Kitchen in addition to using her platform to draw awareness to their work and write the dedication for their first-ever cookbook. 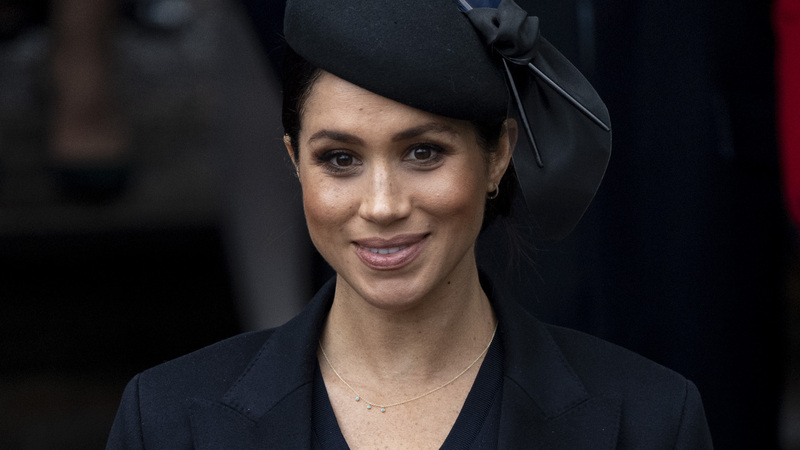 She’s also given speeches about women’s empowerment and even bucked royal tradition with how she reportedly plans to raise her children with Prince Harry. Although the closest Meghan gets to posting on social media these days is taking photographs for the Kensington Palace royal accounts, which she and Prince Harry currently share with the Duke and Duchess of Cambridge, it’s sweet that she still gets the chance to connect in person with people she once chatted with regularly on her own accounts.